Nikon owners now have access to the 17-50 f/2.8 lens with built-in motor for Nikon cameras. The SP AF17-50mm F/2.8 XR Di II LD Aspherical [IF] is a lightweight, compact, fast standard zoom lens designed exclusively for digital SLR cameras. Exclusively design for digital SLR cameras, this lens is a fast standard zoom lens that covers virtually the same angles as focal lengths of 26-78mm when converted to a 35mm format. 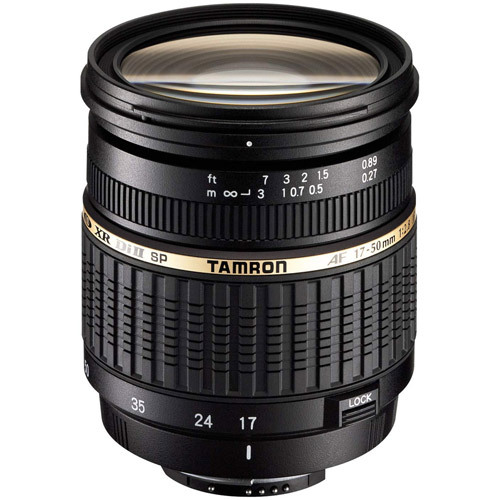 The wide-angle focal length is established at 17mm (26mm equivalent) to obtain a wider angle of view than ordinary standard zoom lenses, while maintaining the remarkably lightweight and compact size of the earlier full frame zoom lens model. Note: Not compatible with the Nikon D3 & D700.